ICCM4 marked a major milestone as it was the last decision-making meeting in the context of the Strategic Approach scheduled to take place before 2020. Stakeholders were invited to make full use of the Conference to identify the remaining challenges and adopt strategic decisions to enable the international community to achieve the 2020 goal of the Johannesburg Plan of Implementation. The Conference evaluated regional and sectoral implementation, addressed emerging policy issues, discussed sound management of chemicals in the context of the sustainable development goals and beyond 2020. 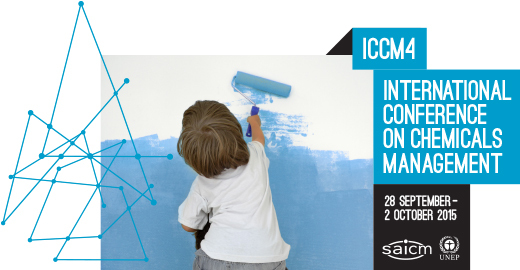 ICCM4 featured a high-level segment, incorporating opportunities for formal statements, as well as other special events. The working languages for the fourth session of the Conference was Arabic, Chinese, English, French, Russian and Spanish. The session opened at 1 p.m. on Monday, 28 September 2015. Regional and sectoral meetings took place on the morning of Monday 28 September 2015.